Not long ago cannabis was seen as a harmful drug which was declared as illegal in almost every country in the world. However, people soon came to realize the multiple medical benefits of marijuana, especially due to its potential as a cancer treatment, its pain-relieving nature and its many other positive effects concerning other diseases. Although many people respect the use of cannabis, either for its medical effects or as a less harmful alternative to alcohol, the numerous use-cases of hemp are widely unknown to the majority of society. In fact, cannabis can solve many different problems. Theoretically at least, hemp could provide the world with an almost unlimited source of energy, due to its environmentally-friendly and cost-efficient qualities. Not only can you produce biodiesel and ethanol/methanol with hemp, but a study from 1993 has also shown that farming just 6% of America’s hemp acreage would be enough to replace fossil fuels and nuclear power. That’s due to the fact that cellulose in low moisture herbaceous and woody plants provides the hydrocarbons that are necessary for fuel production. Hemp is 80 percent cellulose and is both a low moisture herbaceous and a woody plant. 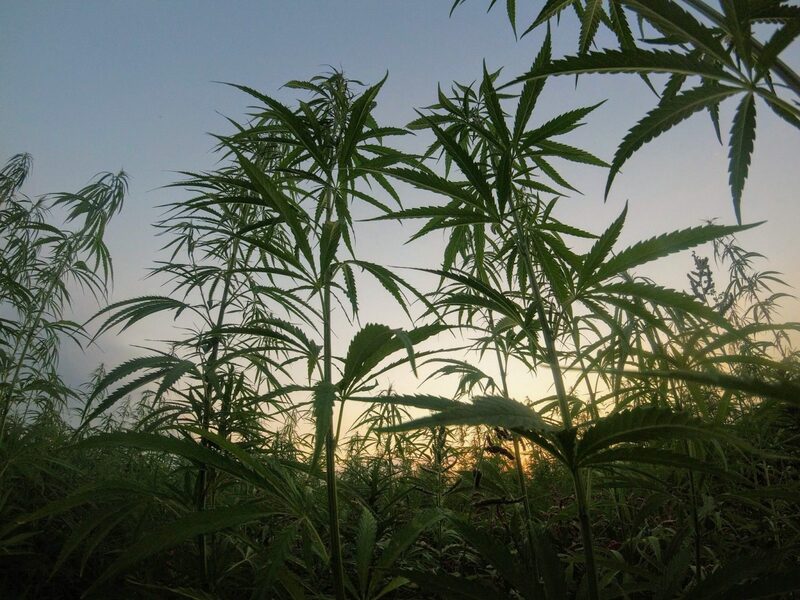 Furthermore, the study suggests that hemp yields an average of nine dry tons per acre, which translates to 4,726 gallons of methanol per year, using the University of Hawaii’s bio-methanol facility production and cost estimates. This outturn could be even larger in a warm humid climate, such as Puerto Rico’s, because hemp can be harvested a minimum of three times per year in a climate like that. There are two ways for hemp to be transformed into fuel: Either the hemp seeds get pressed and the extruding oil gets turned into biodiesel, or the fermented stalk gets used to produce ethanol and methanol. Biodiesel is considered to be environmentally-safe and a much cleaner fuel than petroleum diesel, resulting in better air. Having said that, hemp fuel can be used in all current vehicles without making any alterations. Additionally, hemp fuel is non-toxic and completely biodegradable. Back in the twentieth century, Henry Ford considered hemp as a building material for his soybean-car, which was also designed to run on hemp fuel. In a video from 1941, the car is said to be much lighter than steel but ten times more resistant. Yet, due to World War II, the project got scrapped and there is no proof for this claim. With the world facing severe environmental issues, e.g. pollution, cannabis-based biodiesel could be one of the most beneficial use-cases of hemp. Apart from that, hemp plastic can completely replace the fossil oil-based plastic materials that we are using today, which involve big amounts of dangerous chemicals such as Bisphenol A. If all of our plastics were made from hemp material, the worldwide plastic pollution would diminish drastically, considering that the average American throws away approximately 185 pounds of plastic per year and that we are currently only recovering five percent of the plastics we produce. In contrast, plastic made from hemp can be thrown directly into the compost, as hemp plastics are completely biodegradable. On top of that, hemp can be used for the production of a wide range of products, including foods, beverages, fabrics and textiles, yarns and spun fibers, paper, cosmetics and personal care products, nutritional supplements, construction and insulation materials as well as other manufactured goods. Hemp can be grown as a fiber, seed or multi-purpose crop. At the moment, we are using trees for the creation of paper. This leads to deforestation, which carries severe risks for humankind. In contrast to the long-winded process of planting and growing trees, which can take decades, hemp regenerates in a matter of months and makes for a high-quality paper. As it is acid-free, the paper won’t become crisp or yellow. While regular wood pulp paper can only be recycled three times, hemp paper is recyclable seven times. Furthermore, hemp paper doesn’t need chlorine bleaching, which is largely polluting our wastewater, as a study from the government of Canada suggests. All of this makes hemp-based paper one of the most cost-efficient and environmentally-friendly use-cases of hemp. This raises the question of why hemp is not established as an industrialized agriculture commodity. Especially in regard to the fact that growing hemp is significantly easier than growing marijuana, due to the fact that you neither target a high potency of THC nor do you even have to grow flowers. In contrast to marijuana, hemp requires minimal care and is adaptable to grow in most climates. Interestingly enough, hemp seeds are known to be some of the most nutritious seeds on earth. Along with dietary fiber, magnesium and potassium they contain many vitamins and minerals that the body needs. In addition, they cover all essential amino acids, containing 25 percent protein content. Not only do hemp seeds contain high amounts of essential omega-3 and omega-6 fatty acids, but they are also free from phytic acid, which is mostly contained in grains, nuts and legumes. Phytic acid can raise the risk of iron and zinc deficiency. With their nutty taste, hemp seeds make a nice dressing for salads or your other favorite dishes! To conclude, the use-cases of hemp are plentiful and the emphasis shouldn’t lie on medical and recreational purposes only, but also on the numerous problems that hemp is ready to solve if a broad awareness is spread about the great potential that lies within hemp as an agricultural commodity. Good Article!!! love to read this article…Hemp is part of marijuana, and their are lot of uses of medical marijuana.